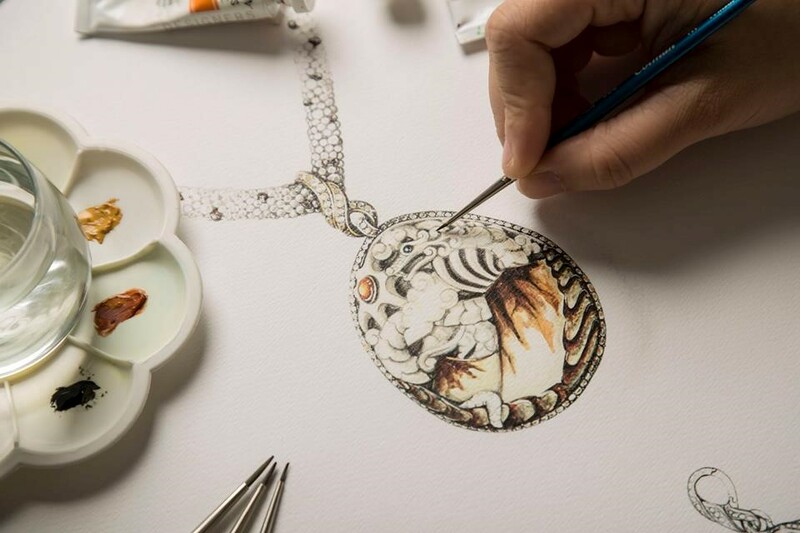 In an effort to raise awareness about the plight of the elephants killed for their tusks every year, John Hardy has created a spectacular. one-of-a-kind piece using the tagua nut, a beautiful and sustainable alternative to elephant ivory. The nut is the seed of a palm native to South American and lends itself to very intricate carving once properly dried, resembling the beauty and warmth of ivory sans the cruelty and the danger to the ivory trafficking network that causes havoc to the local villages and communities that live near the habitats favored by these animals. The pendant (creative director’s Hollie Bonneville Barden’s first high jewelry piece) plays beautifully with the idea of precious and natural and it showcases the tagua nut, a Madeira citrine center stone, brown diamonds, and orange and blue sapphires on a necklace of white mother-of-pearl, yellow gold, and andalusite beads. 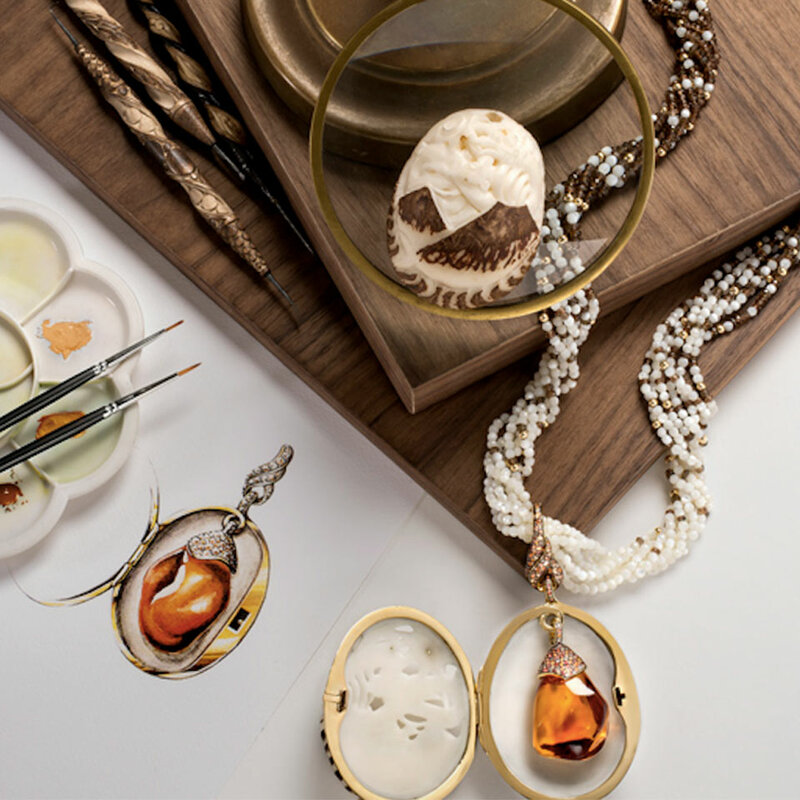 With the designer donating a portion of the proceeds from jewelry to preserving elephants’ habitats, jewelry lovers have the opportunity to do good while looking good.